I've never had a big group of friends that I really get along with and can completely be myself around. There's always ups and downs in life, but whenever I hang out with you guys it always cheers me up instantly. I cherish all the great memories we have and am excited for what we will have in 2015. I can't say how thankful I am to have you guys in my life: Graeme, Minsi, Xilin & Mao, Michael P, Vanessa, Joey & Katlyn, Cris, Carmen, Ewan, Janet, Tien, David, Matt, Robert, Adam and the list go on and on. It's great being 1:30hr away from family instead of an 11hr flight. Now I can visit my family many times a year and talk to them without worrying about time zones. Since graduating I've also been much closer to my family, chatting with them on Facebook and Line. They feel more like friends I can rely on and I chat with them about almost anything. A lot of my cousins are also distributed across the world, but 2015 will be the first time since 2008 I've gone back for Chinese New Year, excited to see everyone then! Being offered a position at Rackspace is probably the most important thing that happened in 2014. I'm truly happy every day at work, and it brings out the best in me. With everyone constantly working together on projects to make the company better and to improve the office culture, there are no dull moments. And the constant flow of ideas just keep coming. And of course the most important is the people I work with. I'm very thankful that the management team there is very approachable, embraces new ideas, and are there to back us up for new projects. I can't say enough good things about this place, click here to read my previous blog about Reasons Why I Love Working at Rackspace. Traveling is very important for me personally, because seeing the way how different people live their lives makes me see things in different perspectives, and makes me more humble and thankful about the good things I have in my life. I went to Korea for the first time and saw how modern and efficient Seoul is. I also visited Japan for the 3rd time, but first in Kansai area and saw the historical beauty of Kyoto, Osaka, and Nara. And finally, I'm proud to say that I've stepped foot in Africa for the first time visiting Cape Town in December. 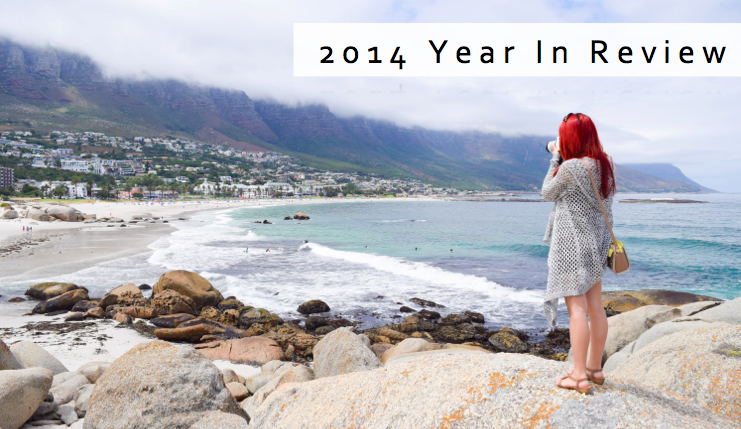 After returning from the states in 2013 summer, I got back into blogging and started Vlogging for the first time. The only real reason is to share my life experiences with family and friends abroad. Since then I've had around 12,000 views and have received messages from people about how my blog has encouraged them to pursue their dream careers or to step outside their comfort zone and move abroad. It makes me really happy that from sharing my experience it can actually help other people. Thank you everyone, for being part of an amazing year.